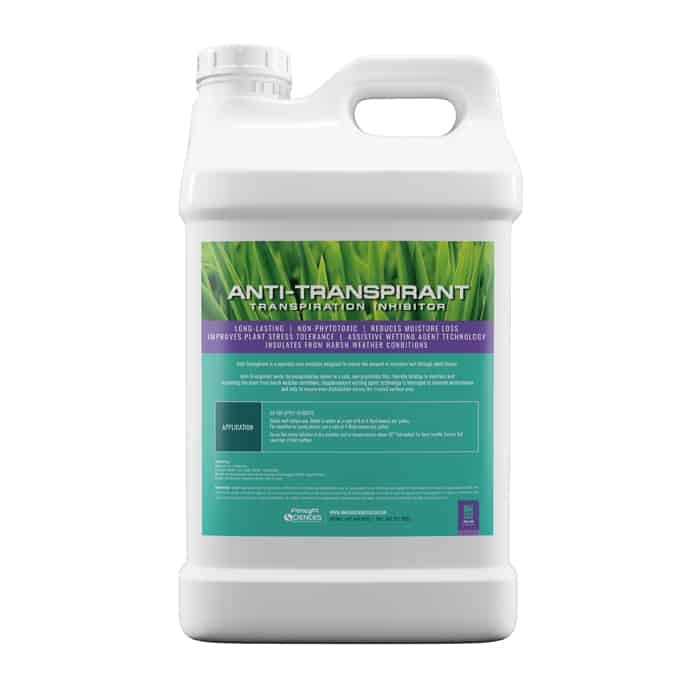 Anti-Transpirant is a specialty wax emulsion designed to reduce the amount of moisture lost through plant leaves. 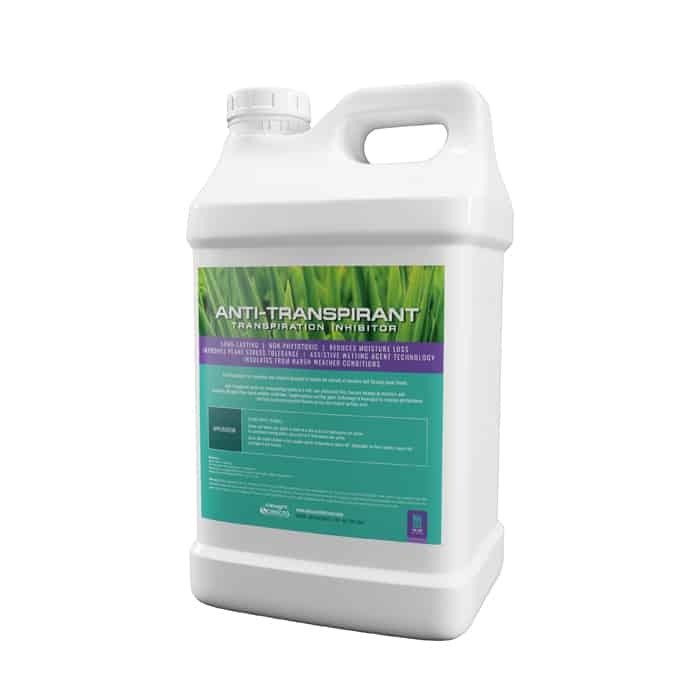 Anti-Transpirant works by encapsulating leaves in a safe, non-phytotoxic film, thereby locking-in moisture and insulating the plant from harsh weather conditions. Supplementary wetting agent technology is leveraged to improve performance and help ensure even distribution across the treated surface area. DO NOT APPLY TO ROOTS. Dilute in water at a rate of 6 to 8 fluid ounces per gallon. For sensitive or young plants, use a rate of 4 fluid ounces per gallon. Spray the mixed solution in dry weather and in temperatures above 42° Fahrenheit for best results. Ensure full coverage of leaf surface.